I’m thrilled to have been nominated for Best Free From Blogger 2014. I have been shortlisted with 7 other bloggers. If you like what you read and enjoy the free from recipes and reviews. Please vote before the end of today 31st October . Many thanks to you all for your continued support. 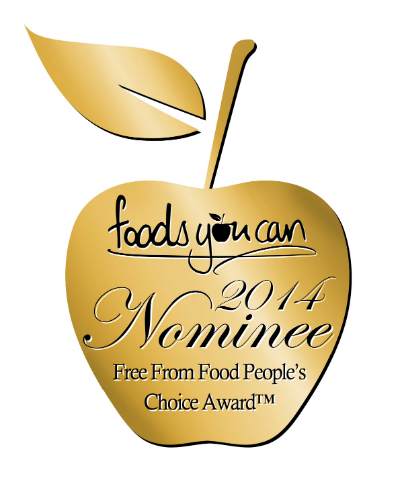 There are also lots of great gluten free and free from products, restaurants etc to vote for. Do please have a look! A Big Thank you to everyone who voted for me, I’m thrilled to say that I came 2nd.